We’re gathering the hottest trends and stories in the Industry and bringing them to you each Friday. 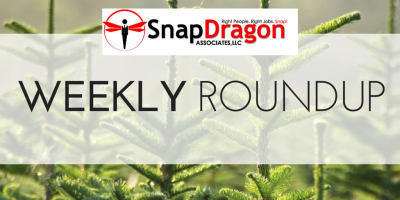 Newly available top LBM jobs, Tips for Hiring Top Talent, Taking a Look at Your Recruitment Strategy, and more top this week’s list! PERSONALITY TESTS: Why Do Personality Tests Fail at Selection? JOB HOPPING: Does It Help or Hurt Your Career? RECRUITING STRATEGY: Is Your High-Volume Recruiting Strategy Helping or Harming Your Company? ATTENTION JOB SEEKERS: Do You Still Need a Cover Letter in 2019? Check out a full directory of all our Open Jobs and apply today! Copyright© 2019 SnapDragon Associates LLc.